I don't have a ring sling...but I do have a wrap. It was terribly awkward at first because I was just trying to look at the pictures and directions that came with the product. Then, I decided to watch some videos on You Tube and it made a HUGE difference! I also highly recommend watching videos if someone can't actually show you. I think it would be great if you did a video just for your slings, it would be so helpful to those who purchase them. Wearing your baby is fun (and a need when you have two other little ones like me). 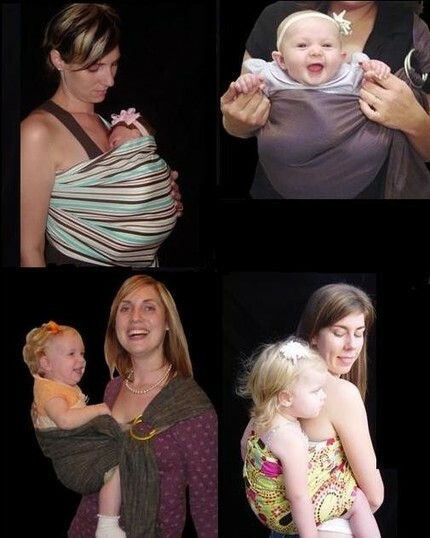 It's important for the little one to be placed in the sling or wrap correctly...it is safer for the baby and for the mommy. Thanks for the tutorial (and I probably would have bought your cute wrap if I didn't have one already).